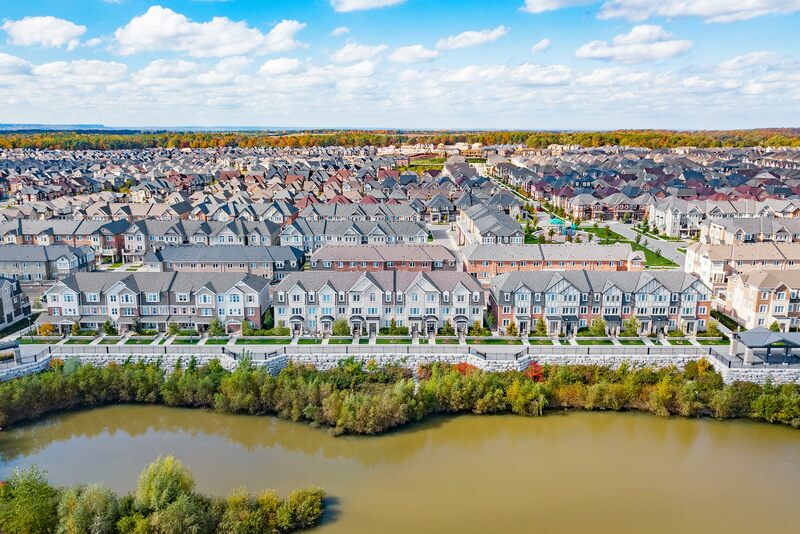 Freehold end unit rear lane townhouse with stunning pond views in Oakville’s Preserve Community! Rare 4-bedroom, 4-bath upscale living with a modern stone/stucco exterior with full double car garage and convenient inside entry. Featuring an in-law suite with a walk-in closet and ensuite on the ground level. Beautiful laminate flooring throughout all 3 levels with solid oak stairs and spindles. The upgraded eat-in kitchen boasts a large walk-in pantry; stainless steel appliances and granite counters with breakfast bar that opens to the sunlit family room with walk out to the oversized deck with gas BBQ hook up and a spacious living & dining combination. The master bedroom on the upper level is complete with a walk-in closet and ensuite with glass shower. Enjoy pond views in the 2 additional bedrooms and a 4-piece main bath. Ideal location, walk to schools, parks and minutes to shopping, amenities, HWY’s and more! Ss Fridge, Stove, Dishwasher, Hood Range, Washer/Dryer, Electrical Light Fixtures & Window Coverings. Want to learn more about 28-3002 Preserve Dr (Preserve/Sixteen Mile/Lane 147)? I would like to learn more about 28-3002 Preserve Dr (Preserve/Sixteen Mile/Lane 147).